Guys, I think we have all been remiss in our admiration for a certain Bachelor host. Chris Harrison is not being given the respect he deserves. He isn't just hanging out around lovelorn Bachelor alums and drinking copious mimosas in his hotel room, no matter what Chad says. 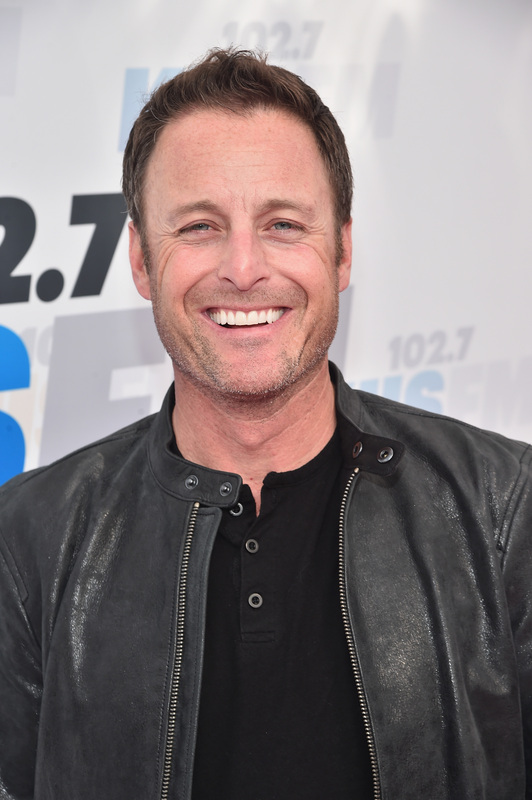 Chris Harrison guy has hosted so many shows, basically everything under the sun and even some things under the moon. He might even be hosting your next party and you don't even know it yet. Of course, fans all know him best as the voice of reason and sanity in The Bachelor franchise but I'm here to tell you that this man is quite possibly taking over the world, or at least the televised world. I think we have all been wrapped up with thinking Ryan Seacrest is a man of so many jobs, but Harrison has been here to challenge that title all along. This man is going to force his way into your homes even if you don't like The Bachelor. How has he flown so under the radar here? Whatever the reason, that's got to change. Here is an exhaustive list of things that Harrison has hosted. Get comfy because there are quite a few jobs here. I figured we would start with the Bachelor franchise because, holy hell. That's not even mentioning the after-show specials like After The Final Rose, After Paradise, and the Men/Women Tell-All. Yeah, you read that right. According to his IMDB page (which shows all of his jobs), Harrison hosted the 2011, 2012, 2013, 2014 and 2016 Miss America Pageants. He is a little experienced, you could say. 3. Who Want To Be A Millionaire? He has hosted the show from 2015-2016, so far, because obviously he has nothing better to do, right? Harrison has played host for 25 Most Shocking Reality TV Moments Of All Time, 101 Most Unforgettable SNL Moments & 101 Biggest Celebrity Moments. In 2008 and 2012, Harrison hosted the American Music Awards red carpet special. In 2012 he hosted the Emmys red carpet, then hosted the 2015 Young Hollywood Awards Carpet, and, in 2016, he presented at the 43rd Daytime Emmy Awards. Besides all of his hosting gigs, he has appeared as a guest or a guest-host on an insane amount of shows including The Ellen Show, The View, The Rachael Ray Show, and The Soup. If you think Harrison has an easy job, you are very wrong. This guy literally never stops. Can you imagine what he will do if he ever retires? Let's hope he never does.